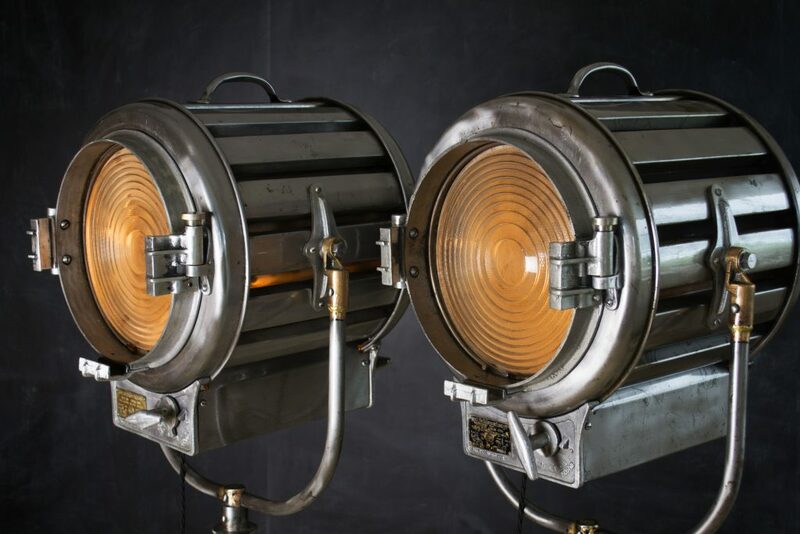 We have recently completed the restoration of these two theatre lights, made by Mole Richardson in the late 1930s. They are Type 410 Solar Spots, originally designed for use in film and television. 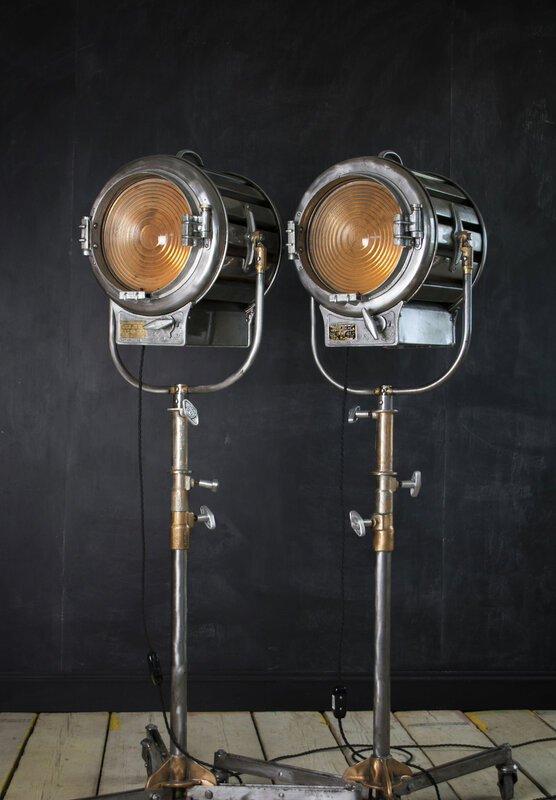 Both lights feature the classic Mole Richardson logo on the back of the lamp head and original plaques bearing the model and serial numbers. Peter Mole founded the company in 1927. The initial idea came from Mole’s work for a lighting rental house in Los Angeles. 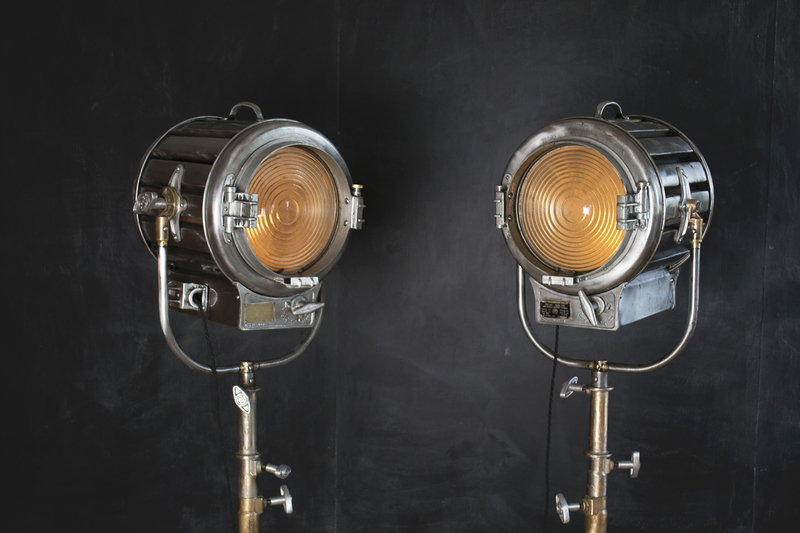 He saw that the lighting equipment used by early filmmakers was not fulfilling its potential. Therefore, he went on to utilise the new incandescent lighting for modern theatre lamps. 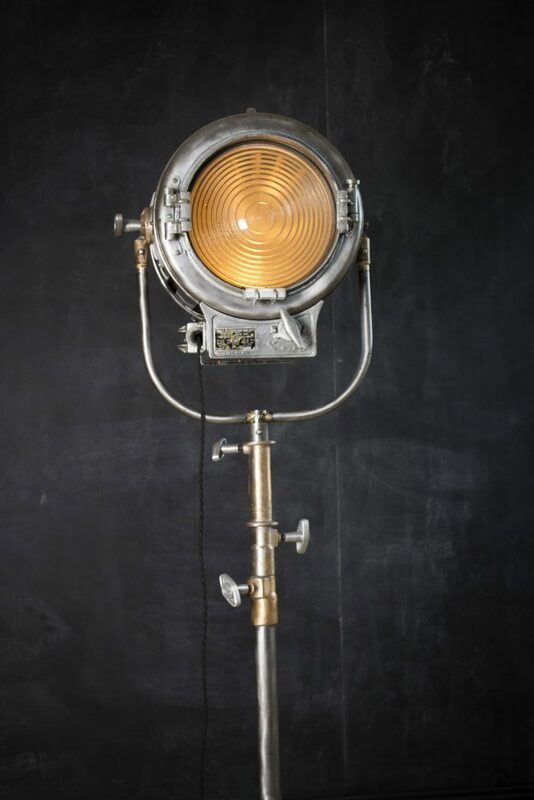 The company created the first Fresnel Solar Spot unit in 1935, adapting the fresnel lighthouse lens for use in motion pictures and consequently transforming the cinematic lighting industry. 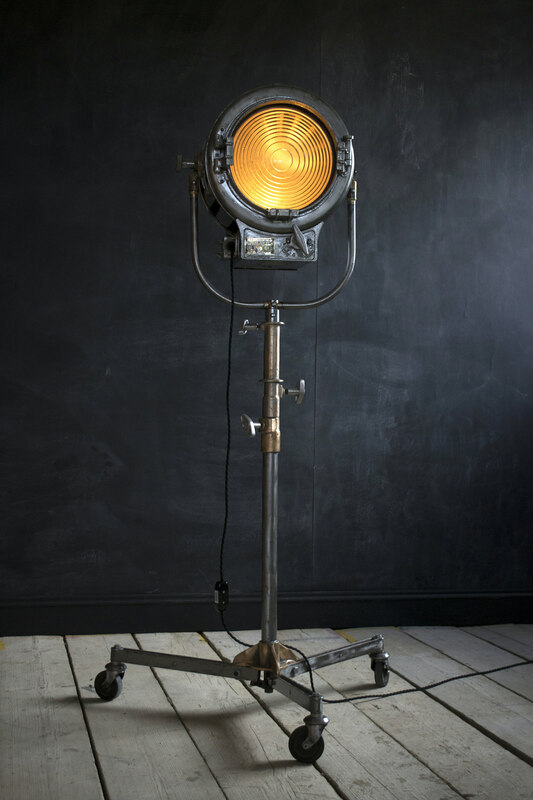 Both lights are mounted on original Mole Richardson wheeled stands with brass details. Our team disassembled, paint stripped, brushed, lacquered and rewired the lights; restoring them to their original condition, ready for contemporary use.